People from Our Village EOPM is provided for you and if you think it can be optimized such as adding the dynamics etc, welcome to provide us with the more perfect People from Our Village EOP and EOPM! 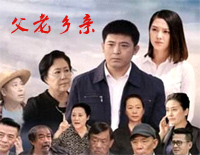 People from Our Village is a song covered by Peng Liyuan. And originally it was sung by Fan Linlin.